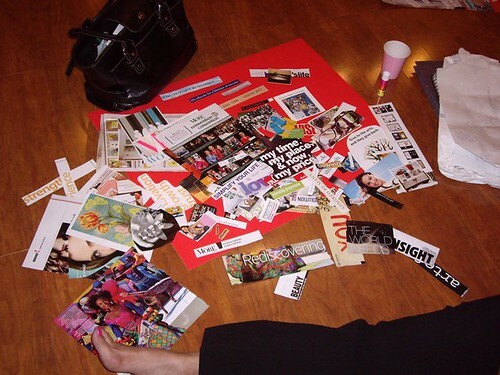 Take that vision board to another level with a personal mission statement. No, I don’t mean I can’t settle down in a monogamous relationship. I’ve been happily married for seven years. My problem is a tendency to commit to too many things at once. I say “Yes” to nearly everything. Would you be interested in leading a bible study at church? Will you help me plan a networking event for local bloggers? Will you write a script and help produce a play for our school’s black history program? This is just a small sampling of all the activities I have juggled at once and this is all in addition to my full time job as an English teacher at a school for gifted students, my part-time job as a freelance journalist for several publications, and the work I do for See Jane Write. Because of this Yes I can! attitude of mine, people assume I’m the type of person who loves to stay busy. The truth is I’d like nothing more than to sit on the sofa all day and watch reruns of Law & Order SVU. But I can’t because I’m scared. I’m terrified that if I don’t say yes to everything I’ll miss something big. I’ll miss my chance to do the one thing that will eventually make all my dreams come true. Perhaps you have these same commitment issues. If so, I have news for you, for us: this behavior is actually preventing us from achieving our goals. We’re doing it all wrong. Over-commitment leads to a life of mediocrity. We’re becoming a Jill of all trades, master of none. We’re doing a good job at many things, but a great job at nothing. So what should we, the grossly over-committed, do? We need a personal mission statement. A personal mission statement will help us say “Yes” to the things that matter most and “No” to everything else. What would you spend your days doing (besides watching reruns of Law & Order SVU) if money weren’t an issue? To empower women through language by writing inspiring, informative, and entertaining works of creative non-fiction and motivating women to create literary art of their own. With my newly drafted personal mission statement in hand I recently eliminated all activities (with the exception of fitness and some church and family responsibilities) that did not somehow further this mission. And I learned to say no. This was hard. I had to let go of some things I really enjoyed, and turn down some things I really wanted to do, but I knew I was making the right decision. A personal mission statement can do even more than clear your schedule. It can also keep you motivated when times are tough. So even if I’m writing a freelance article for pennies per word or toiling away on a blog I sometimes feel no one reads, I stay encouraged knowing I’m working toward my mission. And yes, even if I’m writing a not-so-exciting story on a liability insurance company, I believe the very sight of my byline has the potential to inspire a woman who wants to write. Furthermore, when focused on my mission I know a bad day is just fuel for another essay. Those are words from a woman on a mission. Wise words, I need to do this! Really great post, Thank you for sharing this knowledge. Excellently written article, if only all bloggers offered the same level of content as you, the internet would be a much better place.